juni 2016 | 302 blz. 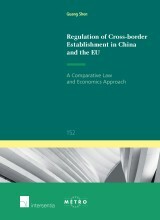 This book examines the regulation of the inter-provincial establishment of companies in China and the EU regulation of the cross-border establishment of companies from the perspective of comparative law and economics. mei 2016 | 284 blz. maart 2016 | 198 blz. 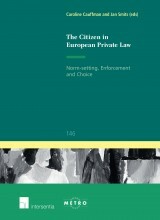 In numerous fields of law, ranging from family law to company law, private actors increasingly set their own rules, revert to private enforcement of those rules and choose the applicable law. augustus 2015 | 252 blz. april 2014 | 247 blz. This is a book on comparative law and legal change. 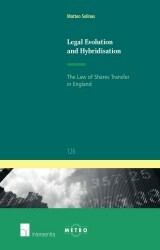 With a focus on corporate law and the law of personal property, it reviews the current state of the comparative debate on the evolution of law and seeks to establish new perspectives to explain the mechanism of legal reception. maart 2014 | 162 blz. 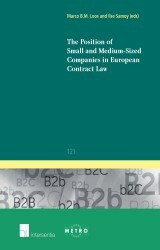 Differences in contract law and the additional transaction costs and complexity they generate in cross-border transactions dissuade a considerable number SMEs from expanding into markets of other Member States. 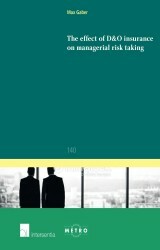 These differences are also said to limit competition in the internal market. juni 2009 | 284 blz. 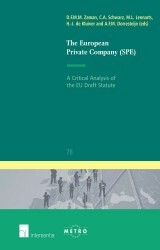 This book deals with the Proposal for a Council Regulation on the Statute for a European Private Company (Societas Privata Europaea, SPE) as put forward by the European Commission in the summer of 2008. 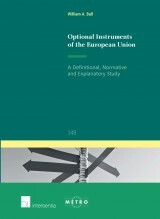 It adds to the comments already made in the legal literature by dealing with key aspects of the SPE Proposal in an extensive way and by including, where relevant, the amendments adopted by the European Parliament in March 2009.